American Cancer Society estimates that about 232,340 new cases of invasive breast cancer will be diagnosed in women in the year 2013. Globally, breast cancer accounts for 22.9% of all cancers. And usually most of the women opt for lumpectomy, a surgical removal of the cancerous tissue. This doesn’t, most of the time conveys that complete cancerous tissue has been removed leading to sequential surgeries which cost demanding and also health is distressing. 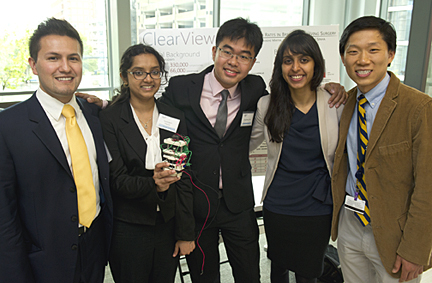 Thus to avoid the frequent surgeries students from John Hopkins have developed a devise that avert repeated surgeries, rising a new hope for the Patients. The device permits the pathologists to swiftly examine excised breast tissue within 20 minutes, while the patient is still in the operating room. If this inspection specifies that the tumor still exists, additional tissue can be removed during the operation. Eradicating the need for a second operation gives new hope for the patients. The team conveys that their main aim is to improve the heath practices.